I’m astounded that we’ve been six weeks into this tournament! Actually that saddens me because that’s six weeks of summer passing me by. Oh well. We’re into the 1980s and I have a very pressing issue I’d love to get some input on by anyone. As mentioned in a previous Leading Man post, the voting numbers have dwindled steadily. I’m considering capping this at the 1990s and not including the 2010s. This would make the final voting uneven (with the 2010s we’d have an even 4/4 to vote between decades instead of a 4/3) but if the numbers keep going I’d hate to force others into going all the way through for another 3 weeks. So let me know in the comments, would it break your heart to not see the 2000s-2010s represented? Does that lessen the impact of determining the true Leading Man? Anyway, the 1980s. Personal computers on the rise, cell phones the size of Montana, John Hughes and the action movie. The actors represented here are all actors I’ve grown up with and know there work, they’ve had their share of ups and downs but this decade was incredibly easy for me as every actor here represents the decade in their own way! So who are you voting for? 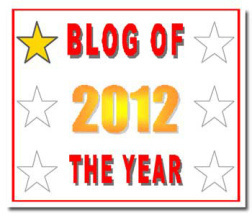 Let’s look at the nominees! My Thoughts on the Nominee: Harrison Ford is one of the first nominees where I had to condense his franchises into one series to include all the other films (I’m trying to cap each nominee at five films). I don’t want to go out on a limb here but Ford might be one of the first actors to do two franchises at once in the same decade with the Star Wars films (although the first came out in 1977), and the Indiana Jones series. He brought back the action hero in terms of presenting a reckless, devil-may-care attitude that’s made him a legend. Not to mention amongst all the action fare he showed off his romantic side with the adorable Working Girl (a personal favorite). My Thoughts on the Nominee: Who doesn’t have a soft spot in their heart for Michael J. Fox? I could have included his television work on Family Ties, itself an 80s staple but I do want to keep this film oriented and boy did Fox succeed there! 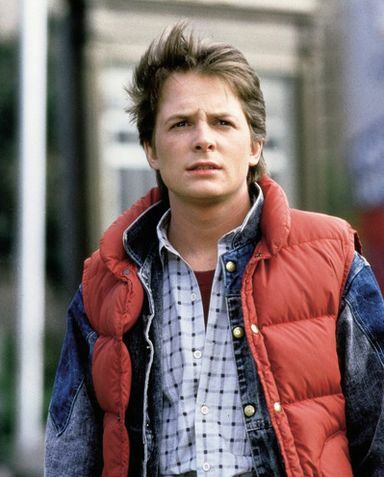 The Back To the Future series, two of which came out in the 1980s, are beloved and Marty McFly is a pop culture phenomenon to this day. Even the schlock 80s film Teen Wolf is a classic piece of the 80s film market. Fox is the go-to nice guy of the 80s for sure! 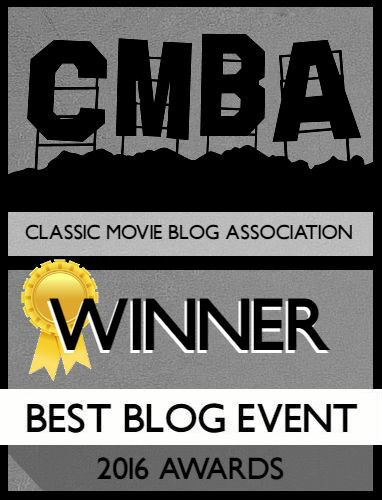 My Thoughts on the Nominee: Tom Cruise and I have a love/hate relationship. I hate to admit how much I enjoy his movies to this day (yes I did enjoy Rock of Ages). The movies here are all 80s staples and range in quality from the cheesy Top Gun to the excellent Rain Man. I still have to see Born on the Fourth of July (a film Netflix probably wants back after two months) but have heard good things. No matter what you think about Cruise as a person there’s something fun and compelling in his performances that keep you engaged till the end. 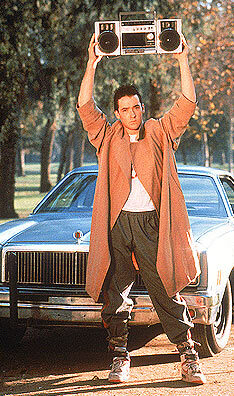 My Thoughts on the Nominee: I’m a girl so my thoughts on romance are the way they are due to Mr. Lloyd Dobler, Cusack’s character in the 1980s film Say Anything. 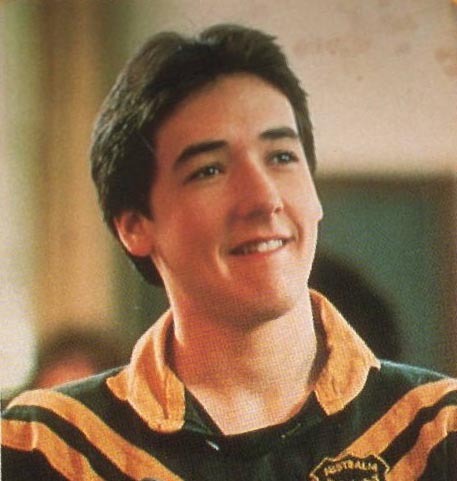 Cusack got his debut in another 80s classic, the John Hughes film Sixteen Candles. Another film that shaped my ideas of romance. Other films like The Sure Thing and Better Off Dead are some of the best teen movies we have, and that are sadly lacking in this day and age. Cusack has continued to impress through the 90s (and I could have made the argument for putting him in that decade if it wasn’t already full). If anything he’s the dark horse of the group. 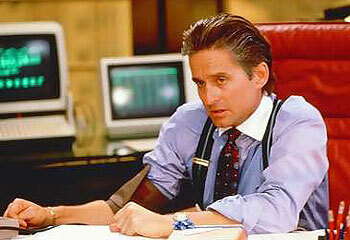 My Thoughts on the Nominee: The 80s mantra was cemented with the film Wall Street and stock broker Gordon Gecko as played by Michael Douglas. 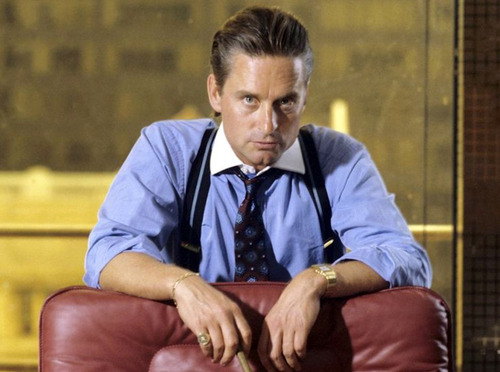 The dark turn of the 1980s into decadence and excess came to light in the post-“Greed is good” world and Wall Street is probably one of the enduring films in terms of showing the 80s business world. Douglas tried his own hand at Indiana Jones territory with Romancing the Stone and Fatal Attraction has come to be the must-see film of the “stalker” genre. I mentioned Michael J. Fox being the dark horse of this race but Douglas also seems to creeping in there as well. As always the tournament runs till next Sunday (July 1st) and there will be updates on Tuesday and Thursday! Happy voting! HARRISON FORD ALL THE WAY! I mean, the others are okay, I guess. But Han Solo!? And Indiana Jones!? They are in a totally different league! Thanks! I’m distinctly getting the idea that Ford might win this, as I predicted. Thanks for voting! 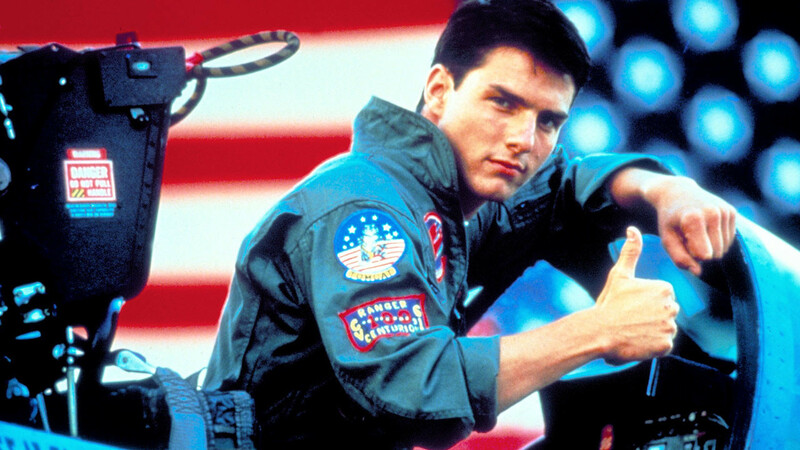 Ford will probably win, but I had to go with Tom Cruise. All five are great candidates though. If I were allowed to vote I’d probably go Cruise too! This is a tough one. Tom Cruise’s had so many hits, nobody dislikes Han Solo or Indiana Jones, and when I was in grade school I saw Better Off Dead and One Crazy Summer so many times it was just plain unhealthy. In fact, I thought I was going to be just like John Cusack when I grew up. 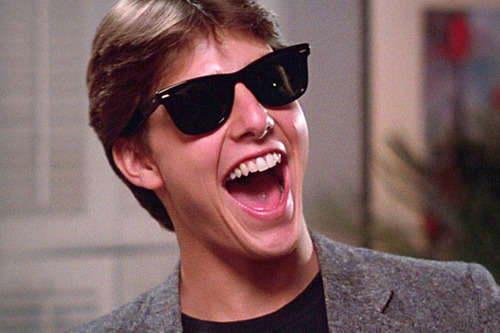 Cusack or Cruise winning would be great. Again, I contemplated including Cusack in the 90s just to name more movies! 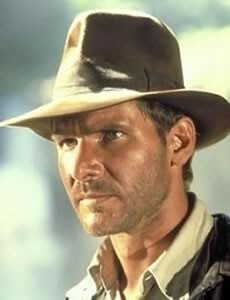 There’s no doubt Indiana Jones is iconic! Thanks for voting! Although, I feel bad that Michael J. Fox hasn’t got a single vote. Oh, and Kristen? Please keep it going till 2010? Michael J. seems to be the Steve McQueen/Warren Beatty/Spencer Tracy of the decade! Yay, someone finally gave me the motivation to keep it going. Thanks Tanya, I’ll definitely do the 2010s! I know that Harrison Ford is probably going to win this decade because of Indiana Jones and Solo, but I feel terrible for Michael Fox. The Back To The Future-s were among my favourites, growing up. And it isn’t fair to blame Ford for it (which I admit, I am doing a little), but come on! Zero votes?! I think I’m going to cheat a little, and vote for him using my mum’s phone. Just so that I sleep better at night. Is that okay? Lol I won’t tell if you don’t. I’m okay with voting over multiple media as long as it’s not mass voting (I know there’s programs and whatnot that are used to swing votes). Thanks for voting (no matter who lol).